The Arts on View Society has surpassed its $75,000 fundraising goal to lease Victoria's iconic Hermann's Jazz Club with just days to spare. A fundraising concert held at Hermann's Wednesday raised more than $18,000, bringing the current total to $91,135. "We went right over the top," said Arts On View Society chair Bill Turner. "Everybody that was there knew they were pushing it over the top, so it was a good feeling. There was just such enthusiasm at that event for that and making it happen." The extra funds raised will speed up improvements to the venue that are part of the lease agreement. "Things like the carpets are 21 years old and showing wear in a lot of places," said Turner. "There's also some kitchen upgrades to do." Turner said that because the Arts on View Society is a charity, it will also be able to implement programs for musicians and students sooner with the extra money. The non-profit society is now working on legal paperwork and arranging the transition of operations in order to have the lease finalized by May 1. 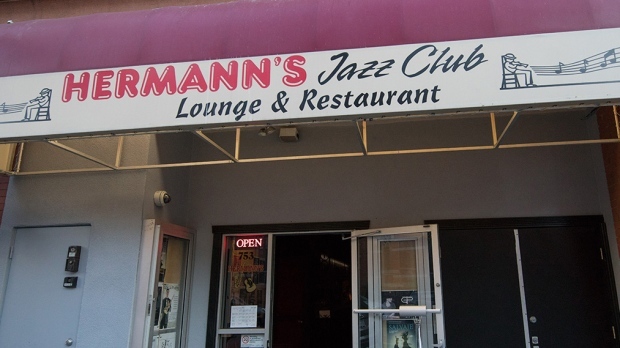 In early March, Arts on View signed an offer to lease and operate Hermann's Jazz Club for the next five years. The agreement was contingent on raising $75,000 for improvements and a deposit by April 15. The society raised the funds through a GoFundMe page, fundraising events and monthly pledges. Turner estimates around 700 donors participated.